When a new child joins your Bible Club program, have the parent fill out a registration card so your teachers are aware of any allergies or special needs the child has. Download free Registration Cards for all age levels and print them in color or in black in white. There are four cards on a sheet. If you print them in black and white, copy them onto colored card stock before cutting them apart. Each card has a place to record the child’s birthday and emergency contact information. Have the child’s teacher send him a birthday card a few days before his birthday. Children love to get mail! You can print free postcards by visiting ChristianEdWarehouse.com. Postcards for each All-Stars for Jesus Bible club age level are available for downloading and printing in color or in black and white. There are postcards for “Happy Birthday,” “We miss you,” and “You’re invited.” If you prefer to purchase the postcards rather than printing them yourself, you can order them online or print out an easy order form and fax it to us at 1-800-891-1795. If you prefer to call, use our toll-free number: 1-800-854-1531. 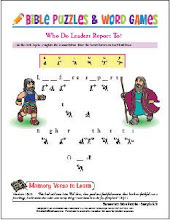 When children learn memory verses, have their Bible Club leader keep track of which verses each child has learned. Be sure to recognize each child’s memory verse accomplishments at the end of the year with a special certificate. Hold an awards ceremony and invite parents to attend. Each child who learned at least one verse during the year should receive a certificate. Begin the awards presentation with those children, and end with the ones who have learned the most verses. You can print an All-Stars for Jesus Recognition Certificate for your students. Certificates are available for all club age levels. If you print them in black and white, choose the grayscale setting on your printer. Then copy the certificate onto colored paper before signing it. You may want to give a special award to the child from each Bible club who has learned the most verses. (Gift Bibles, All-Stars for Jesus Pins, All-Stars for Jesus Witness Bracelet craft kits, bookmarks, “God Bless the USA” silicone wristbands, and other awards make great incentive gifts. These items can be ordered online from eChurchDepot.com). Let parents applaud after each child is recognized. Have the children stand in the front of the room and hold up their certificates while parents take photos. Close with a prayer thanking God for the Bible and for helping the children hide His Word in their hearts.